Our mission is to smash the stigma surrounding mental illness and to build a community of people who realize that hope happens when youth and community leaders work together. We hope that someday mental illness will be as normal to talk about as any physical illness, and are fiercely dedicated to making this goal a reality. 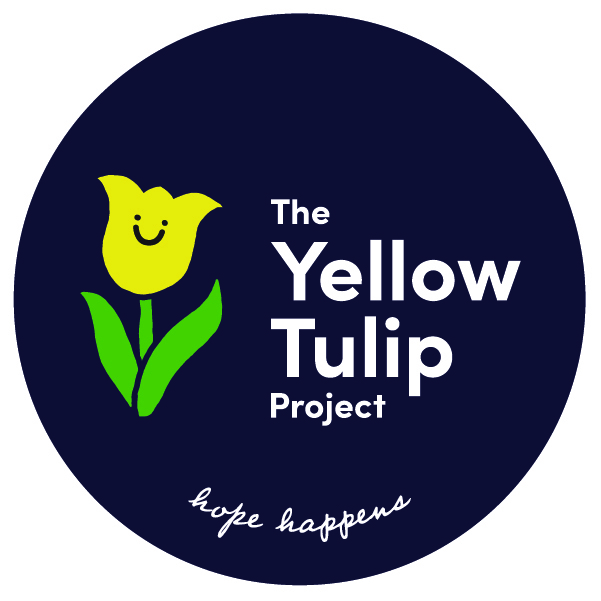 The Yellow Tulip Project aims to let people know that “Hope Happens” and we need to come together as a community to smash the stigma surrounding mental health disorders. The yellow tulip represents happiness and hope. They also remind founder Julia Hansen of her two best friends who she lost to suicide when she was a sophomore in high school. The tulip was one friends favorite flower and yellow was the others favorite color. The Yellow Tulip is also the flower of HOPE. We wish they could have seen that even in the darkest places, hope is always there. We want young adults to be able to break out of this silence and to talk about mental illness, not suffer alone or feel ashamed. We want everyone to know that hope actually does happen. We do this through outreach and advocacy work, and by coming together as a community to talk about mental illness in the same way that we talk about any physical illness. Our mission is simple and clear: come together as a community to smash the stigma that surrounds mental health disorders. We are fiercely dedicated to reminding people that there are ways to get help, people there for them and that circumstances can and will change. Together we plant yellow tulip hope gardens, share our stories, and build community. We work with primarily middle and high schools in bringing communities together to plant yellow tulip Hope Gardens around Mental Health Awareness Week and then coming together again in May during Mental Health Awareness Month (in the USA) to celebrate the tulips and to build community. We are building a team of Yellow Tulip Ambassadors at schools across the USA in other countries that are eager to help us normalize the conversation around mental health disorders so no one feels alone and everyone is able to access the help they need. We are challenging perceptions about what mental health "looks" with our I Am More: Facing Stigma exhibit and we are hosting conversations in communities everywhere using our Facing Stigma: Creating Solutions curriculum.